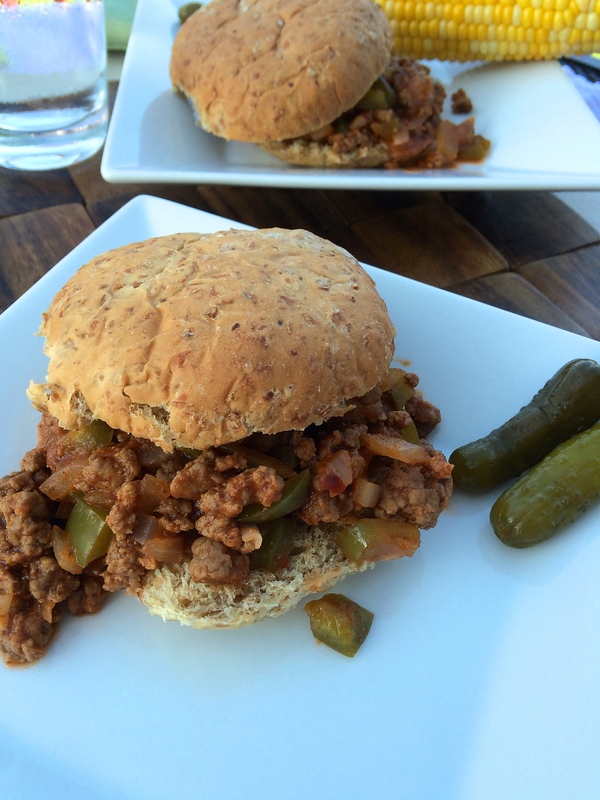 Maid-rites…Sloppy Joes…Taverns…it’s one classic Midwest favorite that has many names. I feel like the name you’re most familiar with depends on where you grew up (Taverns were something I hadn’t even heard of until about high school or college) and the consistency of the sandwich. While it’s essentially a simple base of ground hamburger with a ketchup sauce mixed in, for a sandwich with many names, there are even more recipes for it out there. How is one to decide?! Now, I grew up having maid-rites all the time. My mom’s were simple, no fuss sandwiches with just 2 ingredients — ground beef and ketchup. My friend, Karen’s, mom made maid-rites, too, but were completely different and I absolutely loved those as well…as in, I’d probably have at least 2 sandwiches when I went to visit (which was often). Not to mention, we had baked French fries at Karen’s house to go with the maid-rites, something my mom never made. So, I devoured those, too. I think it’s safe to say I had a big appetite. But Philip, on the other hand, didn’t have as fond of memories of maid-rites as I did growing up. When I put maid-rites on our menu board, he wasn’t all that thrilled. As always, he gave it a loving try and he instantly knew these were much different than what he remembered as maid-rites (in a good way). With the negative connotation still in his head, I declared them Cowboy Burgers — my version of a maid-rite with a revamped name. Problem solved. The sandwich has so many names anyway, why not add one more to the list? What makes mine so much better than all the rest? These Cowboy Burgers are full of flavor with a little bit of sweet and a hint of heat — all created with only pantry staples. 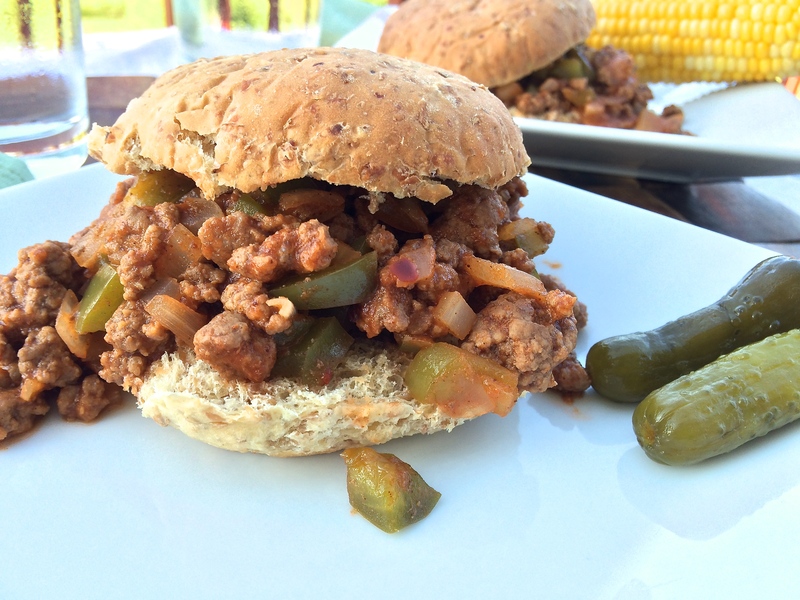 I add in some green pepper and onion to the burgers to give them a boost of vegetables, plus it gives the sandwiches great flavor and crunch. Not to mention, they’re fast to prep! With summer in full force now, I’ve been enjoying all things summer. The last thing I want to be doing is spending time inside cooking up a meal when it’s so incredibly nice outside. There are trails to be ridden and sunshine to be soaked in! These sandwiches are great because they’re ready to go in no time at all. 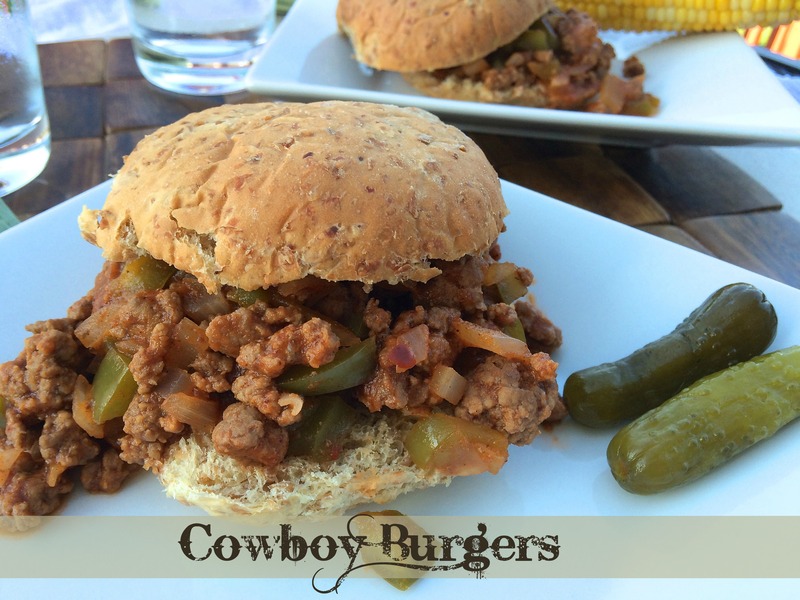 Whip up some Cowboy Burgers this week and I can almost promise you it’ll become a family go-to favorite. Cook ground beef in a large skillet pan. Add onions, green pepper, and garlic halfway through cooking beef. Once beef is browned, drain and rinse beef mixture. Return beef mixture to the skillet. Add ketchup, brown sugar, chili pepper, dry mustard, and water. Stir to combine and simmer for 15 minutes. Add Worcestershire sauce, to taste. Serve on warmed or toasted hamburger buns. 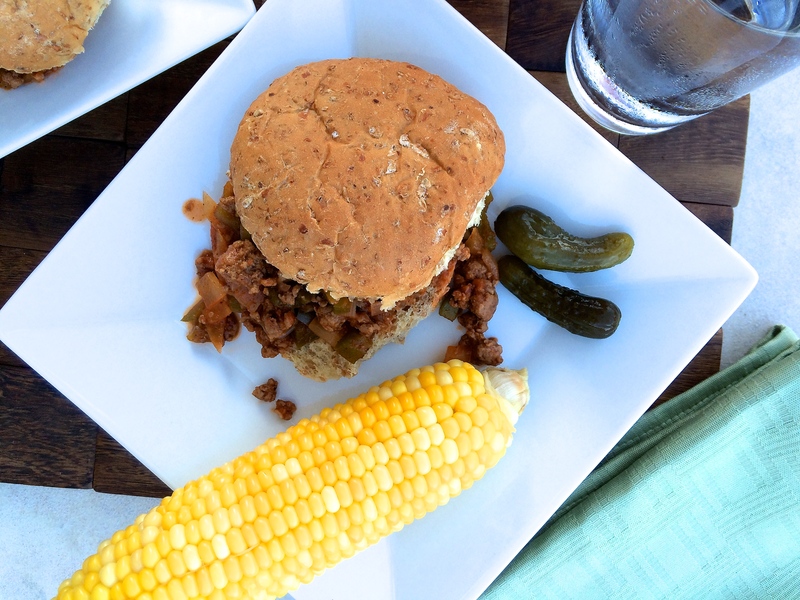 Posted in Beef, Comfort Food, Sandwiches on June 22, 2015 by Kara Hoerr.